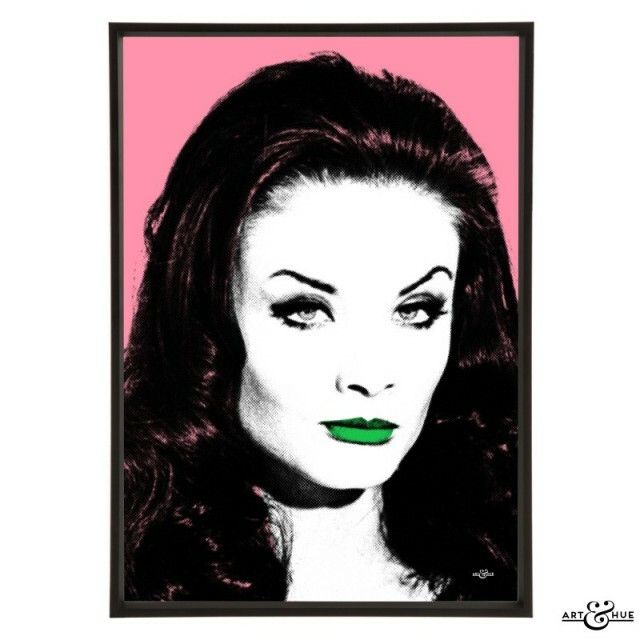 Art & Hue presents Hammer Horror, a new collection of stylish & spooky pop art. 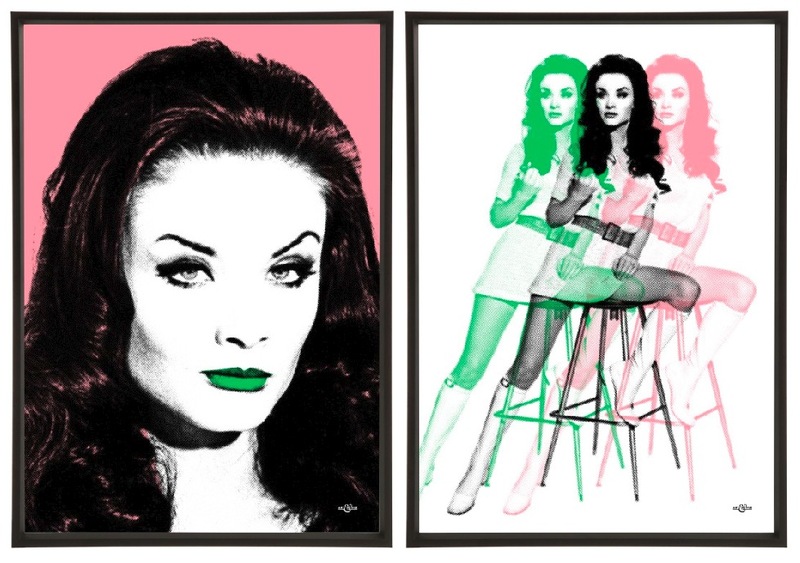 Valerie Leon, Kate O’Mara and Anouska Hempel were some of the vamps who featured in the Hammer films and have inspired this collection of stylish pop art prints which also features strongman David Prowse and horror stalwart Christopher Lee. Although Hammer Film Productions originally started in 1934, they’re perhaps most associated with their particularly prolific period from the late 1950s to the early 70s, featuring icons such as Christopher Lee. Hammer’s style varied from gothic horror films which created worlds of romantic Victoriana to contemporary updates set in swinging London. Quintessentially British, by today’s graphic and realistic standards, the Hammer horror films aren’t as shocking now as they may have seemed to audiences at the time. There’s a gentility to the pacing and special effects that make the films charming. Who can resist Anouska Hempel with fangs or Valerie Leon as an Egyptian Queen? 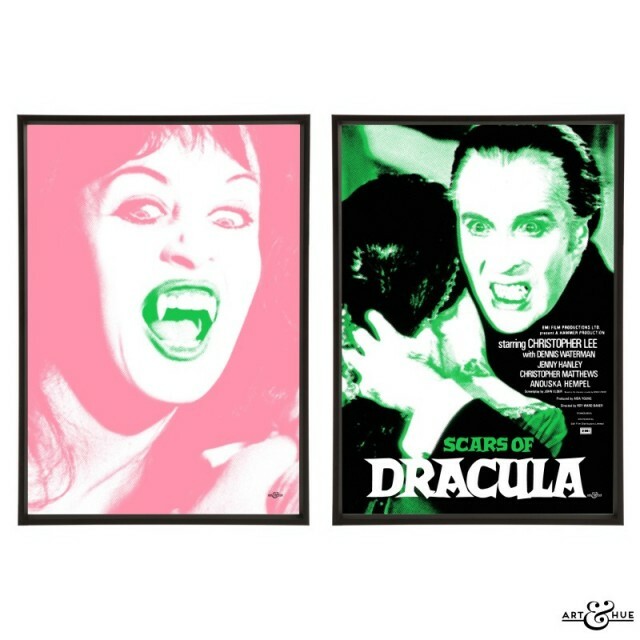 Inspired by the cult 1971 film “Blood from the Mummy’s Tomb”, as well as Hammer’s 1970 double bill of “Scars of Dracula” and “Horror of Frankenstein”, this Art & Hue pop art collection is printed on archival matte card of 310gsm, made from 100% cotton, using fine art pigment inks. A tall, and beautiful, actress, many of Valerie Leon’s characters knew what they wanted and were happy to help themselves, occasionally dominating and intimidating her targets of desire. A unique and glamourous talent, no-one can look down their nose or enter a room led by their shoulder with equal comic and stylish effect like a gliding Valerie Leon in full sail. Traversing horror, spy, and saucy comedy films across the 1960s and 70s, Valerie was able to hold her own whatever the genre. Her many credits take in iconic British productions, including two James Bond films, six Carry On films, “The Avengers“, “Revenge of The Pink Panther”, “The Saint”, Gerry Anderson‘s “Space 1999″, the farcical “Smashing Time” featuring Carnaby Street, and the classic 1960s caper “The Italian Job” with Michael Caine. Before Joan Collins in the Cinzano commercials with Leonard Rossiter, Valerie Leon inspired in the Hai Karate aftershave ads from 1969 onwards. A precursor to the Lynx/Axe adverts of recent years, Valerie finds herself irrestistibly drawn to unassuming men who douse themselves in the fragrance. Her height, normally referred to as Amazonian, was put to comic use in her Carry On appearances but for the serious business of horror, her co -stars were equally tall. Valerie’s largest film role was in “Blood From The Mummy’s Tomb” – in fact she played two parts which secured more screen time. Whether she’s dressed as the Egyptian Queen or munching suggestively on a banana, the film is an ode to Valerie. 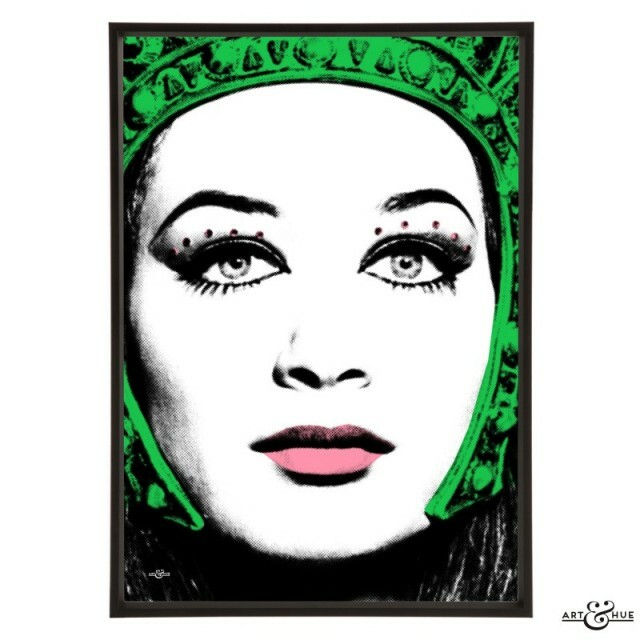 Discover the group of Valerie Leon pop art. Younger audiences will know him for his roles in cinematic juggernauts such as The Lord of the Rings and the Star Wars prequels, but it’s his talent for horror performances which has cemented his place in cinema history as one of Britain’s greatest actors. 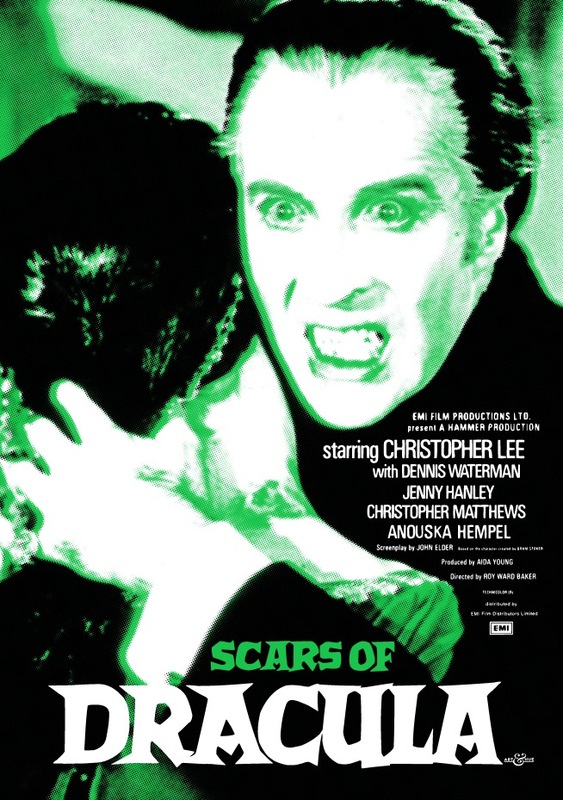 Christopher Lee’s association with Hammer started in 1957 when he played Frankenstein’s monster in their first colour horror production, “The Curse of Frankenstein”. 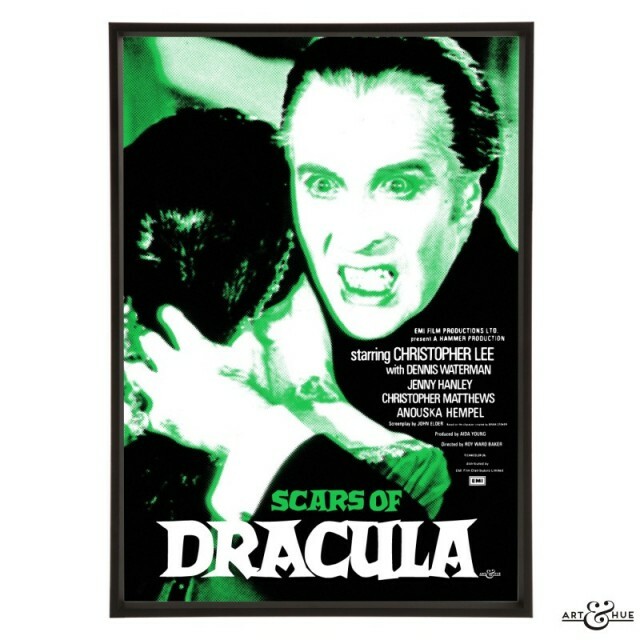 Whilst his favourite film may have been “The Wicker Man” in which he played Lord Summerisle, “Scars of Dracula” was a popular and commercial success and, as one of his seven appearances as the vampire for Hammer, firmly established his connection to horror in the public’s mind. At 6 foot 5 inches tall, Christopher Lee was an imposing figure who loomed over his sacrificial victims and successfully scared cinema audiences. Regardless of the special effects at the time, Christopher Lee is undoubtedly a formidable screen presence who generates menace whenever he’s on screen, even when interacting with Dennis Waterman or Jenny Hanley. See the Scars of Dracula Pair. Before his name became synonymous with Darth Vader in the original Star Wars trilogy of films, David Prowse’s tall and muscular frame was put to spooky use as the monster in “Horror Of Frankenstein”. It was his first serious appearance as the monster and in a Hammer horror film. The British weightlifting champion of the early 1960s, he represented England in international competitions. As the Green Cross Code Man, David implored children to stop, look, and listen when crossing the road in a series of public information films from 1975. 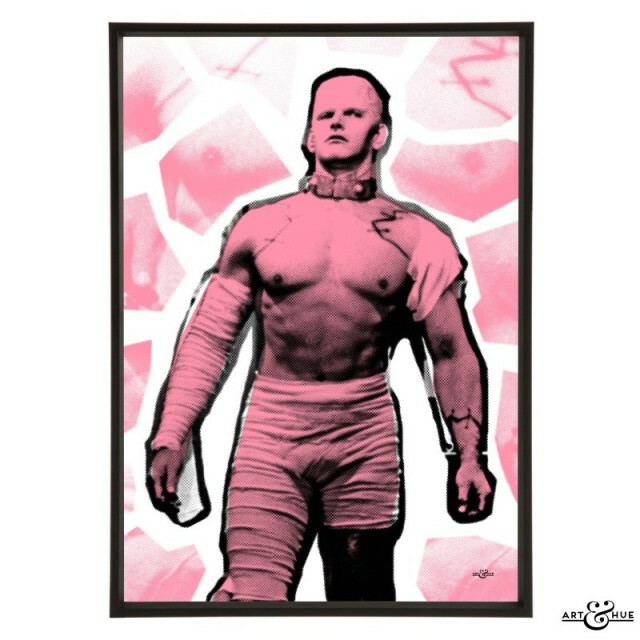 He’d featured in the 1967 James Bond spoof Casino Royale as Frankenstein’s monster and then in 1974, he reprised the role in another Hammer film, albeit with more gruesome make-up – certainly not as flattering as the buff bodybuilder version, with bandages and painted-on scars, which appeared in “Horror Of Frankenstein”. David has appeared in beloved productions such as Stanley Kubrick’s “A Clockwork Orange”, “Carry On Henry”, Gerry Anderson‘s “Space 1999″, “Up Pompeii” (which also featured Valerie Leon), “The Saint”, “The Champions”, “Department S”, “Doctor Who”, and “The Hitchhiker’s Guide to the Galaxy”, plus cult oddities including “Black Snake” which co-starred fellow Hammer alumni, Anouska Hempel. Browse the Horror Of Frankenstein group. 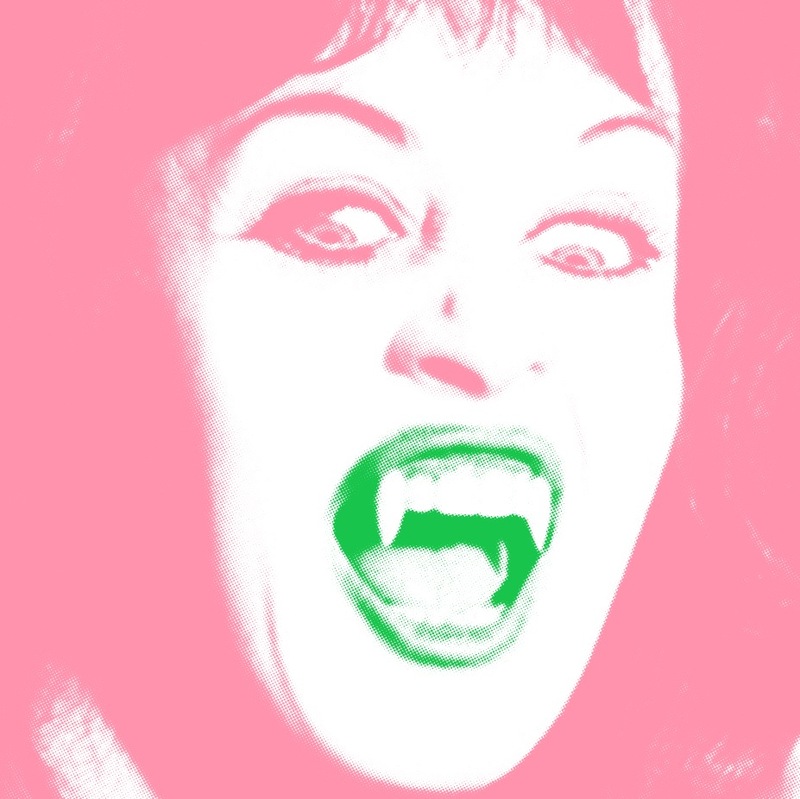 “Horror Of Frankenstein” also starred the glamourous Kate O’Mara in one of her earliest film roles, before she became globally famous as a sister, to Joan Collins in “Dynasty” and later Joanna Lumley in “Absolutely Fabulous”. In the UK, she was generally cast in villainous roles, from “Triangle” and “Howards’ Way” to “Doctor Who” in which she portrayed the Rani opposite both Sylvester McCoy’s and Colin Baker’s Doctors. Before her film appearance, she had worked on many British spy shows including “The Avengers“, “The Saint”, “Department S”, “Danger Man”, and “Adam Adamant Lives”. With a withering arch of an eyebrow and her piercing eyes, appearing in “Horror Of Frankenstein” at the age of 30, her distinctive features remained recognisably Kate up until her final TV and theatre performances. See the Horror Of Frankenstein group.